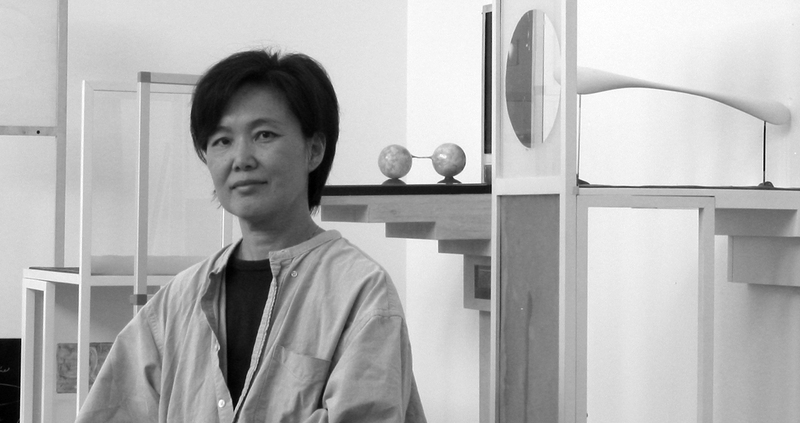 Mikyung Kim is a Korean born conceptual sculptor living in New York. She is interested in the relationship between the intrinsic meanings of game and rite. Her work is deeply rooted in Eastern ceremony, especially ancestor worship by creating the tableau as an altar setting. Her recent series titled “Mindscape” series is an evolving process based set of wall installations and was inspired by ancient stone mounds arranged in ceremonial rituals that are primarily enacted for the purpose of honoring ones’ life. Kim received her BFA from Seoul National University in Seoul, Korea and her MFA from Pratt Institute in New York. Her numerous solo and group exhibitions include the Brooklyn Museum, Bronx Museum of Art, Blum Helman Warehouse, Art in General, Art on the Beach and Art Omi, in New York; the National Museum of Modern Art in Mexico City; as well as the National Museum of Contemporary Art in Kwachon, Korea and the Sonje Museum of Contemporary Art in Kungju, Korea. She is a recipient of fellowships from the New York Foundation for the Arts (NYFA) fellowship, as well as the Song Eun Foundation in Korea and more. Her works were featured in Art Asia Pacific, Village Voice, Space, New York Magazine, New York Times and more. Her works were acquired by The National Museum of Contemporary Art in Kwachon, Korea as well as many more museums and galleries, and most recently by Krannert Art Museum, University of Illinois at Urbana-Champaign. She has lived and worked in New York since 1979.